The Monterey Bay Aquarium pointed to the error this week in a tweet stating that Apple’s squid emoji was “upside down,” before threading a series of squid puns about the mistake. 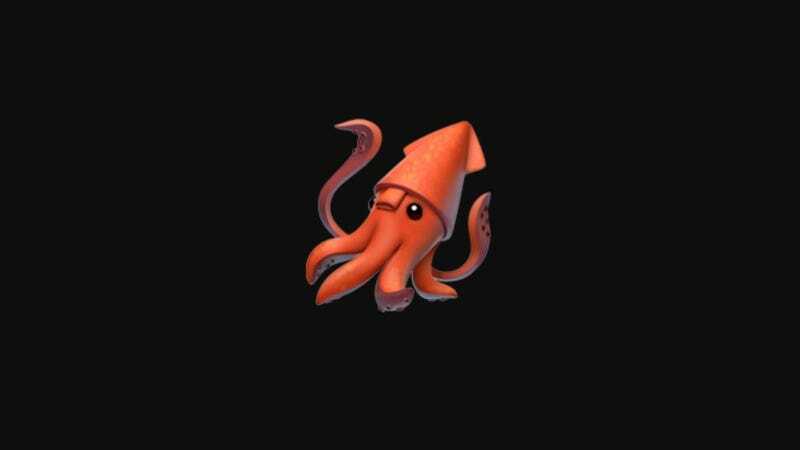 On Apple’s emoji, the siphon appears on the squid’s face, which we now know is not where that belongs. More distressing is the realization that the squid emoji was approved as part of Unicode 9.0 in 2016—meaning it’s been like this for two freaking years. McAnulty said she personally wasn’t bothered by it when the emoji first came out because she was happy to even have one, though she did say she and other squid people poked fun at it. As per the Unicode Consortium, it “is not a designer or purveyor of emoji images,” and it doesn’t actually own any of the colorful emoji you see across various platforms. What this means is that the onus here falls on Apple. At least one person, web designer Dan Flynn, has offered an alternative mockup. We’ve reached out to Apple about whether it plans to update the emoji, and we’ll update this post if we hear back.